Managing the accounting and payroll system is an important job. Use these three tips to make your job easier, and get better results. Use the universal help key. Did you know there is a function key that can help you find the answers you are looking for, right within the accounting system? Most programs, not just accounting programs, offer help that is specific to their program. This help can be accessed by using the F1 function key. F1 is a shortcut key that brings up a help screen, so you can find the answers you are looking for. Within Red Wing Software accounting programs, the help is specific to the area of the program you are working in. While some people may find this obvious, those who were unaware can gain a lot by starting to use this handy function. 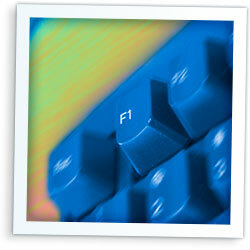 Using the F1 key can save you considerable time by providing the answers you need immediately. It can also help you learn new ways of performing tasks that you may not have considered. Some of us are really good at learning how to use a new software program. Others of us, not so much. Either way though, attending training for your accounting software is an excellent idea. It will likely make your job easier. Getting training by the company who developed the software, or a close partner, will provide you with tips and tricks you may not have thought of on your own. You simply don′t know what you don′t know, and training will show you what you don′t know. What′s more, you can ask questions during training, to get your specific questions answered. Attending training is a crucial investment for those using the accounting system. It can simplify and improve processes for years to come. Not all businesses are created equal. Well, in fact no two businesses are the same. Don′t get stuck with reports that do not meet the needs of your business, or the needs of those requesting information from you. Whether it′s you, your management team, or others requesting information, use report customization to generate the information that is needed by creating your own reports. 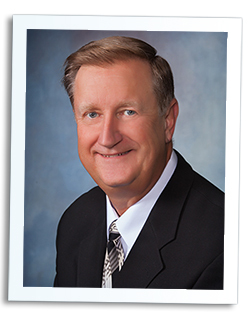 Here's a great article about avoiding costly tax mistakes. CenterPoint Accounting Software can help with many of these! A few days ago was Administrative Professionals Day. At Red Wing Software, we are fortunate to have a dedicated front-office staff that takes care of our customers and the back-office functions for the company. It’s not often you can call a company and the same people that have helped you for over two decades continue to help you. Thanks to Roxie, Pam, Melissa, and Carole for taking care of us and our customers with dedication and professionalism, and to Stephanie and Cindy for stepping out of their marketing roles and providing backup when the need arises. A few years ago we needed to fill a full-time position in our front office, but only for a few weeks while one of our full-time staff was going to be out. One of the primary responsibilities for this person was to answer phones and direct callers to the appropriate individual or team. We often use a staffing company to help with hiring and we contacted them to help find the right person for the job. The staffing company does a good job of prescreening applicants to make sure they fit our requirements and help us save time in the process. After interviewing a number of applicants (eight in all) that we didn’t feel were the right fit, the staffing company was concerned. It was important to us that we didn’t settle, we wanted to make sure the new hire represented our business well. Remember, the person that answers the phone for your company has one of the most important roles in the organization. To the customer calling in, the voice answering the phone is the voice of the company. It is important to have that voice represent what your company is all about. In this particular case, that “temporary” position turned into full-time, and we were glad we took the time to hire the right person. Red Wing Software has released new versions of all of the CenterPoint products. Red Wing Software regularly develops new versions of our software to incorporate suggestions received from customers like you and to take advantage of improvements in computer technology. One of the many advantages of a Customer Care Membership is regularly receiving the latest enhancements. We encourage you to download and install the latest versions.